It's Tips on Tuesday time! Here are a few things to talk about when you're reading with your children. These comments and questions are sure to improve fluency, vocabulary and comprehension! Happy Valentine's Day! 1. Let's take a picture walk. 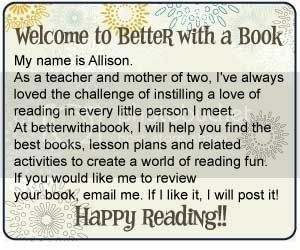 Before you read a picture book, flip through the pages and look at the pictures. Start a discussion about what the book might be about, specific items that you're familiar with, big words, etc. 2. What's the copyright date? Check to see when the book was "born." It is important to point out all parts of a book, but with the copyright date, you can figure out how old the book is and make connections right from the start. The book may be as old you or your child! 3. What does that mean? If you see a word or phrase that may be difficult or unfamiliar to your child, start a discussion. Define the phrase or word and then try to make a connection to their world or another book. 4. What's going to happen next? Making predictions is a wonderful tool for comprehension. 5. I love the way you sounded that word out! Specific praise helps your children to be more confident readers. 6. That part was really funny! Modeling enthusiasm about a book will help your child to have an interest in books and we all know that the more we read, the better! 7. Let's read that again. When children are familiar with a story, they are able to practice reading quicker and with more expression, thus aiding in fluency. 8. Look at the words that you know first. If there is a difficult word on a page, encourage your child to read the other words on the page that they are familiar with. They may then be able to figure out that tricky word. This is a strategy of a great reader! 9. Break that word up. Encourage your children to cover parts of the word, sound them out separately and then blend them together. Sometimes words are easy to sound out, but look a little frightening when all of the sounds are strung together. 10. Let's do that again soon! It's always great to read with your children...no matter how big or small!